So I wanted to do something a little different to celebrate Mother’s Day! 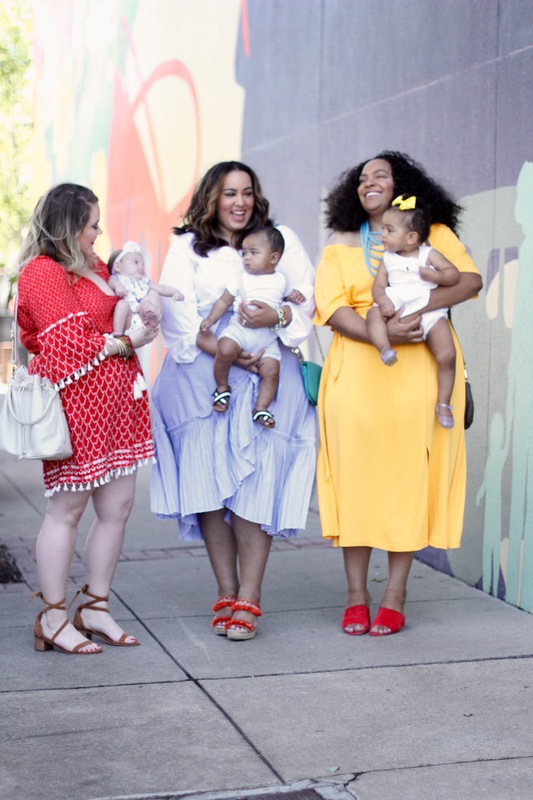 I love the blogger/mommy posts and while I was trying to see how I could do a shoot with my mom who lives a million miles away, I had the idea to celebrate with my awesome mom friends! 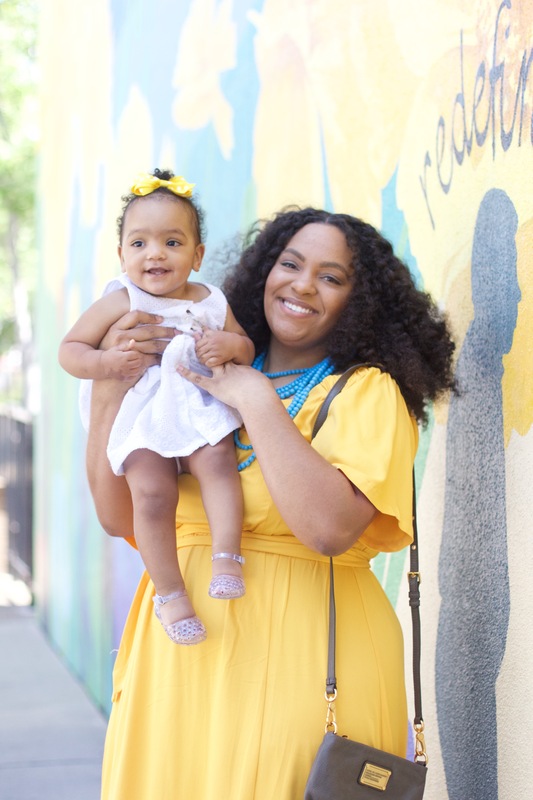 Yes, Mother’s Day is about your mom and you too (if you’re a mommy) but it’s also about honoring motherhood in general! Since becoming a mother I have a new appreciation for Mothers. Although, I love my mother (and always get her great Mother’s Day gifts), I never really thought much about it. Now, I want to reap all the benefits Mother’s Day has to offer. Give me all the gifts, the cake, the food, everything. Being a mom is no joke. I know compared to some, I have it easy and I’m grateful for that. Single mother status is a another ball game. I celebrate those moms even more. I wanted to honor some of the new mothers in my life. We all have wittle ones and just happen to be plus size. So meet Sam (baby Scarlett) & Sharhonda (baby Taryn), y’all already know me and Creed! 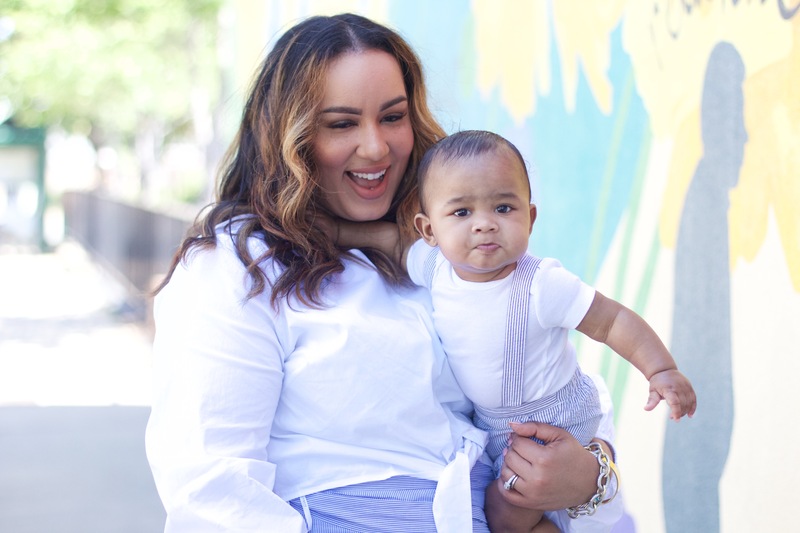 We met up for coffee and a fun photoshoot with our munchkins! Sam is the newest mom in the group. Baby SG is only a few months old. I met Sam at a local beauty boutique. We bonded over makeup became fast friends. One of the sweetest girls I know! She’s been my on-call model for local tv shows and she can beat a face like no other. I met Sharhonda, in JCPenney, lol! She came up to me at the register and was like, are you, rojo032009 (my original IG name)? Well, she’s been riding with me ever since. Her and her adorable, Taryn have been over for many of me and Mike’s impromptu house parties. We are all wearing Eloquii! 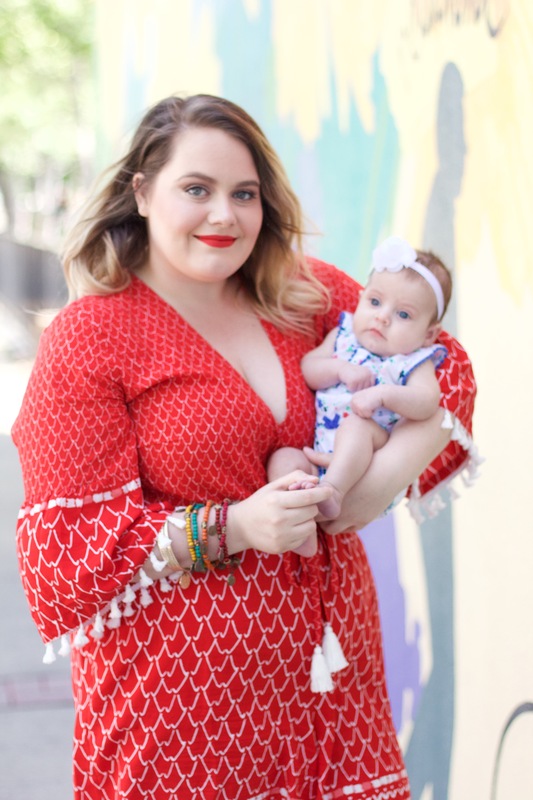 Huge shout out to Eloquii for providing the outfits for this post. Eloquii is one of my favorite places! They always have something bomb that I have to have. Sam’s romper is so perfect on her. The color screams, I’m ready for summer and the fun details make you want to live in it. When Sam picked up her Romper she said ” I didn’t know I could pull off a romper”. I would she’s more than “pulling it off”, she’s killing it. Let that be a lesson to dress outside your comfort zone. Sharhonda, is serving lemonade! The off the shoulder style and easy silhouette make this dress wearable for anyone. Sharonda is pear shaped and I knew this dress would compliment her and be easy to wear. I’m wearing the amazing blue and white pin, tucked, ruffles and striped skirt! It’s everything! Y’all may get tired of seeing it. Crisp white crop top, also Eloquii. Thanks for reading and Happy Mother’s Day! 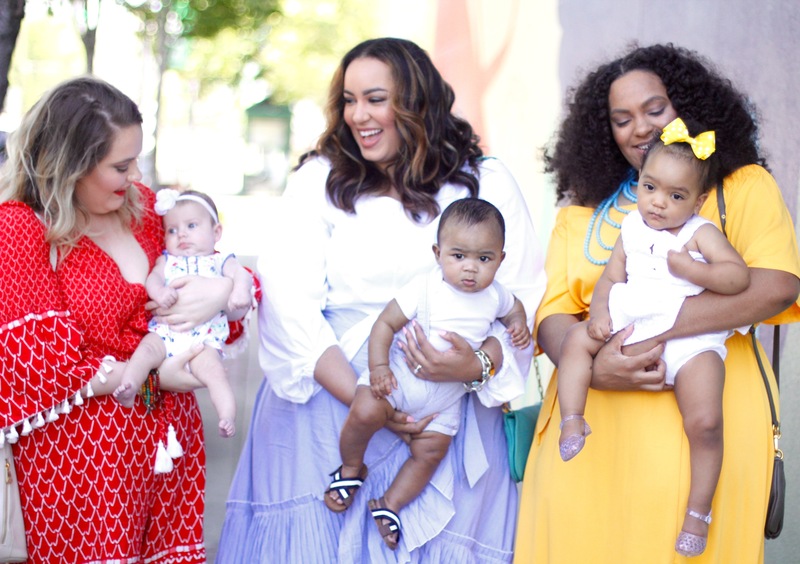 The post Three Stylish Mama’s and Our Thoughts on Motherhood appeared first on Beauticurve.